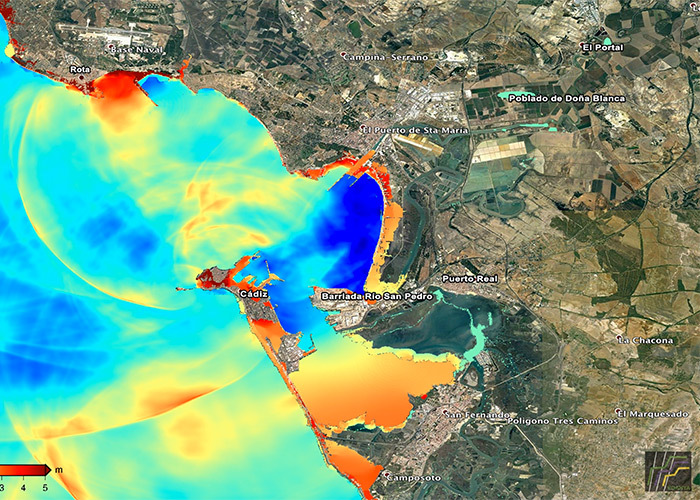 Numerical simulation of the 1755 Cádiz tsunami that EDANYA Group has performed for the documentary "La Gran Ola". This simulation have been produced with the Tsunami-HySEA software, developed at UMA. /cms/secciones/ajax/insertar_seccion/ /cms/secciones/ajax/borrar_seccion/ /cms/secciones/ajax/editar_seccion/ /cms/secciones/ajax/mover_seccion/ Are you sure you want to delete this section? 109202 You are about to cancel the edition. All your changes will be lost. Do you want to cancel and lost your changes?